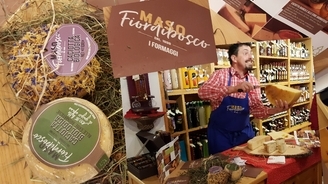 New local cheese of Fiordibosco!!!! at our Enoteca Valentini in the historical centre in Canazei!!! Free tasting every Friday from 16:00-19:00 at Enoteca Valentini in the historical centre in Canazei!!! at Enoteca Valentini in the historical centre in Canazei!! !